Agent Wigglesworth of MI6.21576 is on a mission to find out more about the Product Risk Framework (PRF). He heard about the PRF across various communication channels, and he visits the Strategy 2 Market office to learn more. Watch this hilarious spoof video series. We recently released Episode 1 of this 3-part series. The other 2 episodes are currently being produced. 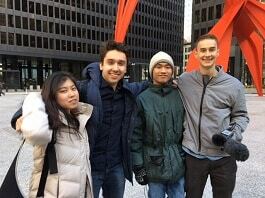 This video series was made possible with the assistance of University of Chicago interns. Erica Lin was instrumental in co-developing the scripts, filming and producing the videos. Alexander Dean (Marty Meyers), Jarvis Lam and Jack Vogel were actors within the video series. In addition, Christopher Parker plays the role of Agent Wigglesworth.